Tri Phone for a dry phone. Navigating new roads using the map on your smartphone is one of the modern age's great conveniences, but keeping it dry when the weather turns can be a tricky proposition. 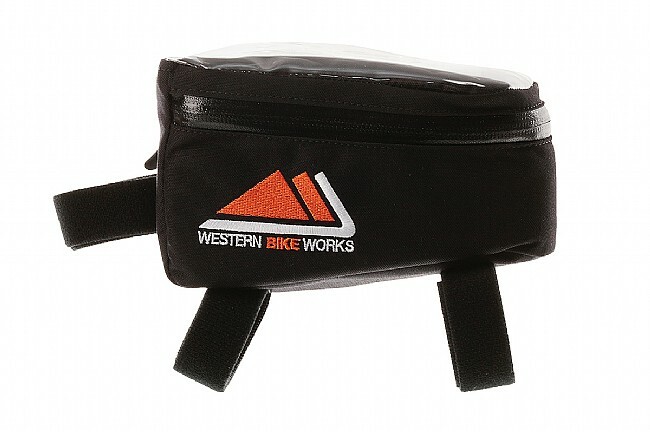 This custom Western Bikeworks Tri Phone Pro Top Tube Bag by Inertia Designs features a transparent marine-grade vinyl top-pocket that keeps the rain off your phone while still allowing you to view and utilize the touchscreen. 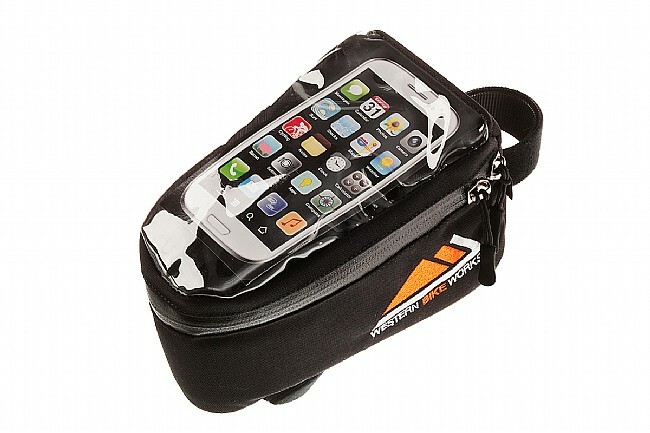 The phone pocket is securely sealed within the water-resistant, YKK zippered main compartment where you can hold extra ride food and other essentials, while the truck tarpaulin interior protects them from the elements. A small slot allows for headphones to be routed to your phone for use while riding, and the rugged Cordura exterior with foam backing keeps contents safe from any rough rides. 43 cubic inch capacity. Measures 5.75" x 3.5" x 3.5". Claimed weight is 2.9 oz.